A fairy tale from 1001 Nights ballet show with the ballet of State Opera House - Burgas will be staged in Sozopol on August 17th. The music in "Scheherazade" is by Rimski-Korsakov. Choreography and direction are by Prof. Hikmet Mehmedov. The play will be performed at the Amphitheatre in Sozopol at 20.00. Bourgas Municipality provides free transport to Sozopol for the event. Everyone who wants to take advantage of this service needs to obtain ticket. The ticket is FREE and is intended to guarantee your place on the bus as the outward and return. You can get tickets until August 16th /Friday/ at 17.00 from the building of the Municipality /26, Alexandrovska Str./, Press center /ground floor/ and in the Tourist Information Center /at the entrance of the underpass of the Opera/. The busses will leave from the District Administration - Burgas. Departure time is 18.30 and the return is right after the concert - at 22.00. 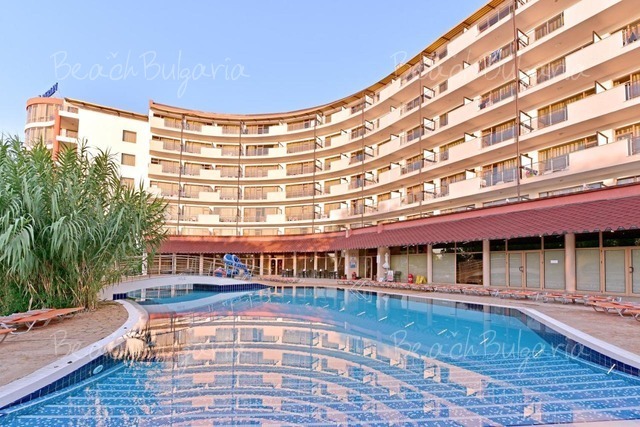 The event is included in the program of Summer Tour Burgas 2019 and is free. Please, post a comment on 1001 Nights ballet show will be staged in Sozopol, Bulgaria.